Click here to see the above video! 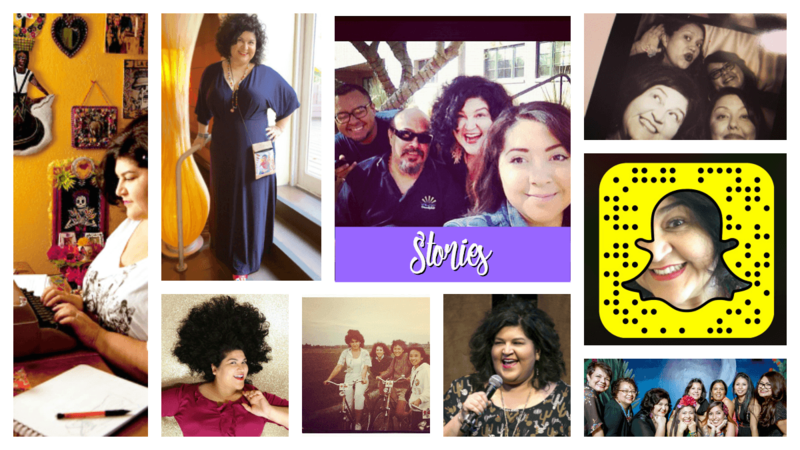 A crafty version of Selena-meets-the Hallmark Channel-with a dash of Oprah optimism = Crafty Chica! 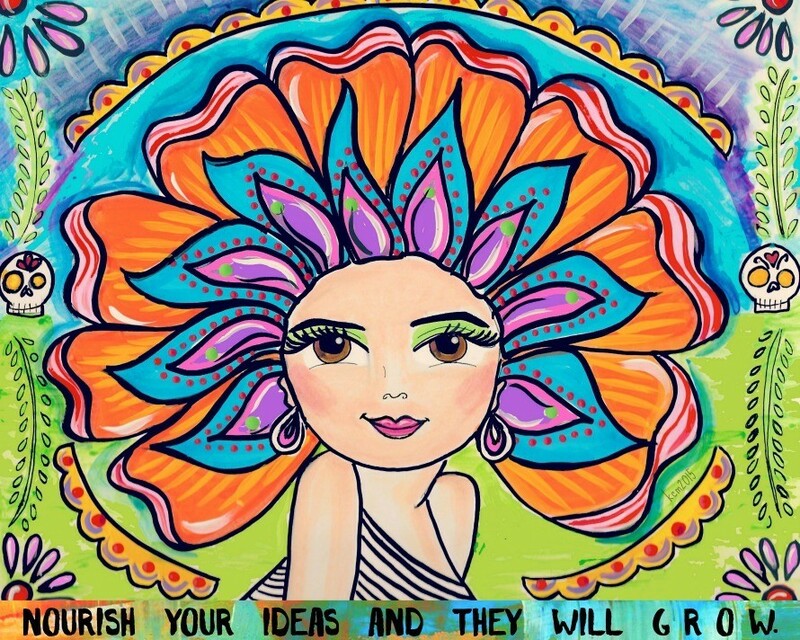 Kathy Cano-Murillo is an author, artist & founder of the award-winning brand, CraftyChica. 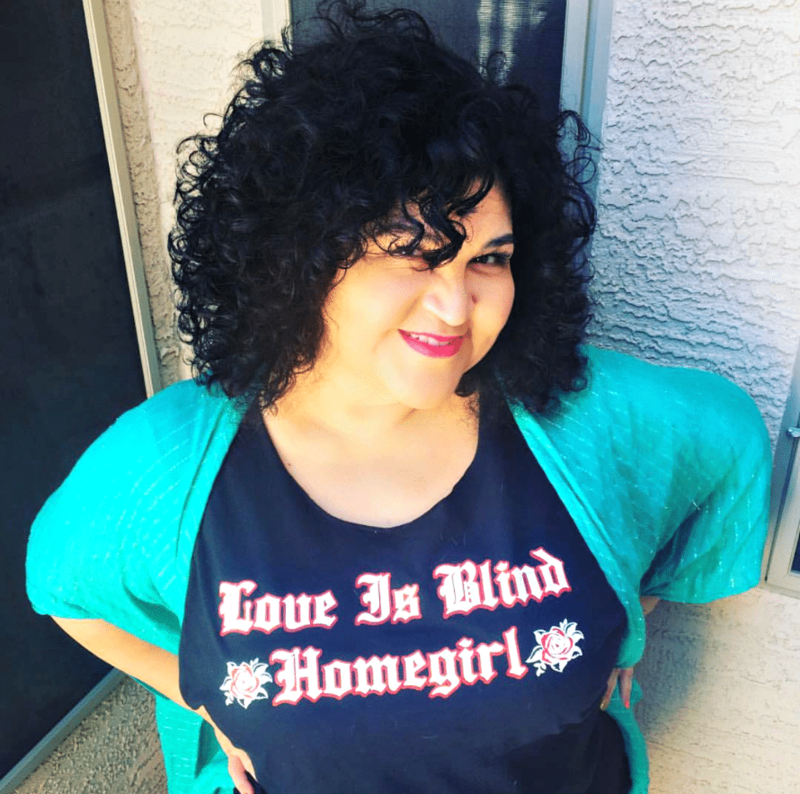 She spreads the gospel of glitter – literally through her DIY projects and figuratively through her speeches, workshops, books, and essays. A former syndicated columnist for The Arizona Republic, she is now a full-time creativepreneur which has led multiple Crafty Chica mass retail product lines, and partnerships with Coca-Cola, HSN, HP, WordPress, Disney & many others. She has authored seven craft books and two novels, and has been featured in The New York Times, USA Today, Huffington Post, Buzzfeed+ more. 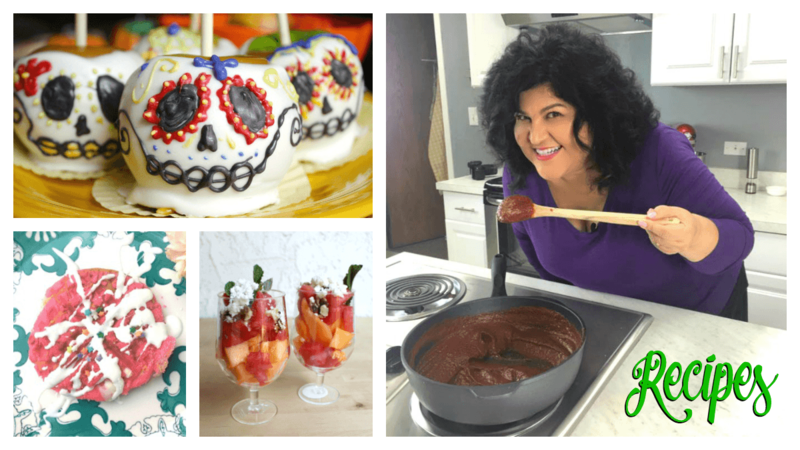 Kathy is Mexican-American, a native Phoenician, mom of two, a wifey, and owner of five Chihuahuas! Kathy launched CraftyChica.com, a wildly popular web site to inspire women to brighten their lives with clever lifestyle ideas. The site began as an online diary about juggling family, a full-time job as a newspaper reporter and a craft designer by night. CraftyChica.com has evolved into a well-rounded lifestyle site that is anchored in DIY and crafts, but also embraces books, shopping, fashion, business, movies, food, travel, beauty, tech, family life and more. Kathy’s life’s mission to inspire others to bring out their inner sparkle – and to see the sparkle in others. She believes in paying it forward and setting a positive example. 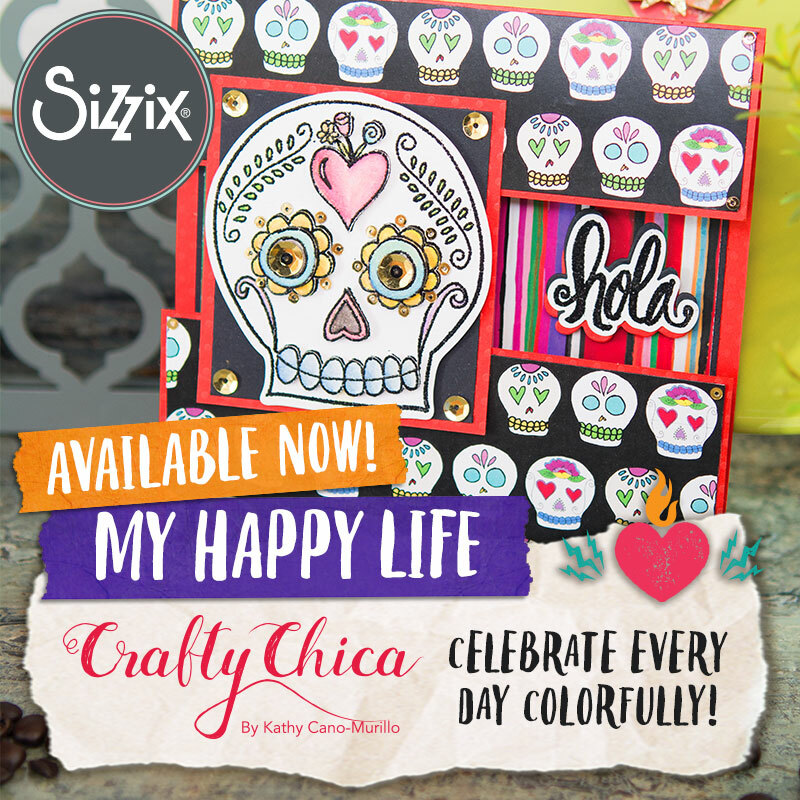 She uses CraftyChica.com to share all the little and big things that make life sweet! On our wedding night, my husband and I vowed to live doing what we love, for me that was writing and making art. 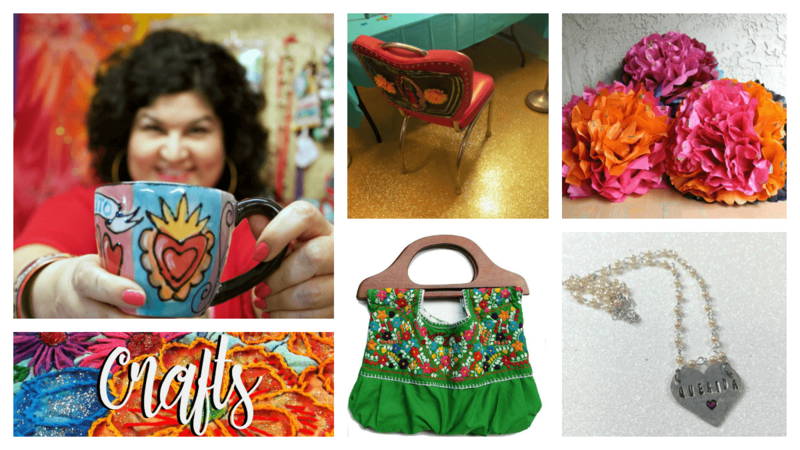 Within three years, we hand made hundreds of Latinocentric home decor and jewelry items for 300 shops. Becoming a sweatshop wasn’t exactly the dream we had envisioned. I took a part-time job at The Arizona Republic as a features clerk. Being an entertainment reporter was another dream I’d had since grade school! I started out as a newsroom clerk. I inputted airfare prices, weather reports, organized movie file folders. One day the Home editor asked me to write a weekly craft column, she knew about my art business because she owned some of my pieces. At this time, Martha Stewart was EVERYTHING. I almost turned down the offer out of intimidation. But I loved layering on the sparkle and decided to OWN it. I celebrated my DIY techniques in high gloss style. My column became nationally syndicated by Gannett News Service and a local TV station brought me on for a weekly craft segment. I also covered music & movies for the paper’s entertainment guide. I loved my job! Something still itched at my spirit. I knew I was meant for a bigger purpose. I yearned to promote positivity through creativity. Hello, CraftyChica.com! I actually thought of the name while writing a story on deadline for the paper. I quickly registered the URL and launched the site that weekend. My first book deal came, as well as national press. In between raising two kids, a full-time job, my art business, web site, and authoring books – I went to night school for my BA! Thank goodness for my husband who supported me in every way! My national product line debuted in 2008 at Michaels Stores. 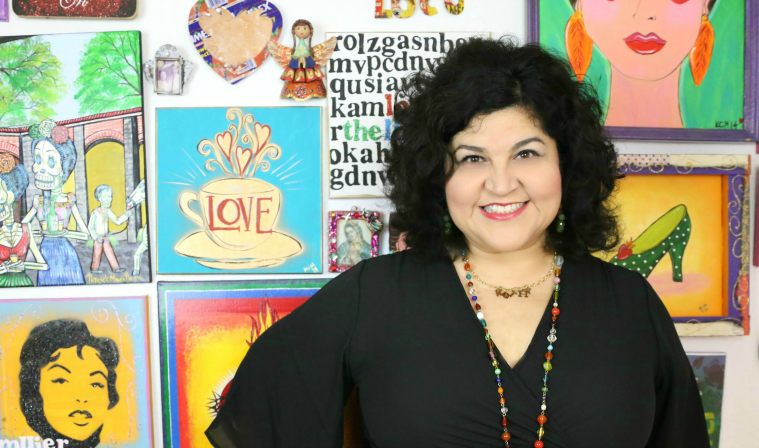 It was the FIRST Latina-designed, Latinocentric line in a major craft retail chain! The success grew, and my time thinned. Something had to give, and I left my beloved newspaper gig. 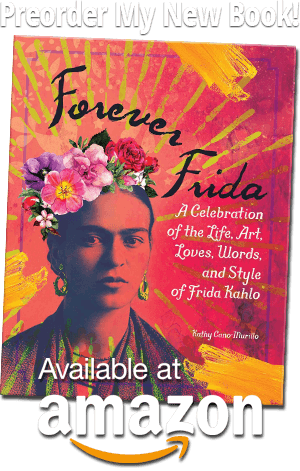 Seven craft books, two novels, a Crafty Chica Cruise, later – all of it is going strong! I’ve learned the key to success is persistence – and embracing social media. I love using everything from Facebook to Snapchat to connect with people. 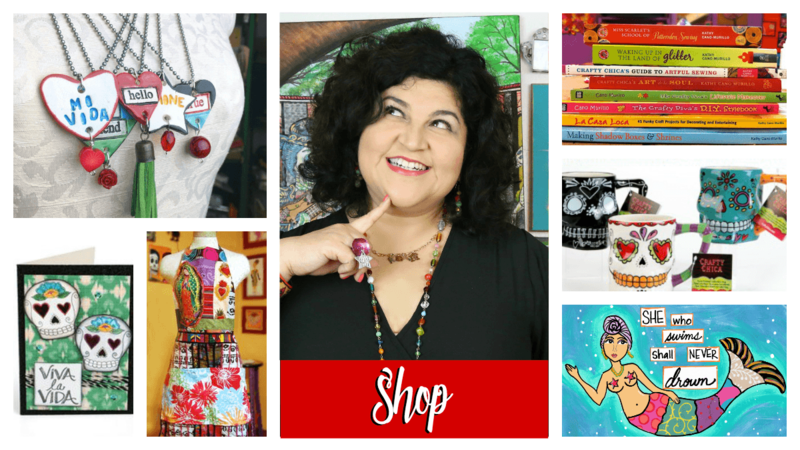 I had two new craft product lines debut in Fall 2016, and I wrapped the 10th Annual Crafty Chica Cruise, and I have a series of other cool projects in the works! An exciting venture is that I’ve taken on public speaking as a way to share and teach all I’ve learned about building a creative professional life. My mission is to spread positivity through creativity, by any means necessary!